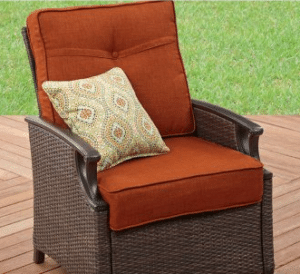 Having the look of wicker patio conversation set for under $550 will set your outdoor space above the others in your neighborhood. The steel frame that is powder coated for long lasting in most outdoor environments. The resin wicker will last very well with little care. This set will fit in most outdoor spaces that are at least 10 feet by 10 feet. Having a love seat, two chairs and a coffee table, this set will allow you to relax with three of your friends for drinks and talking about world issues. Now lets look at the details of this set and see what works for you. 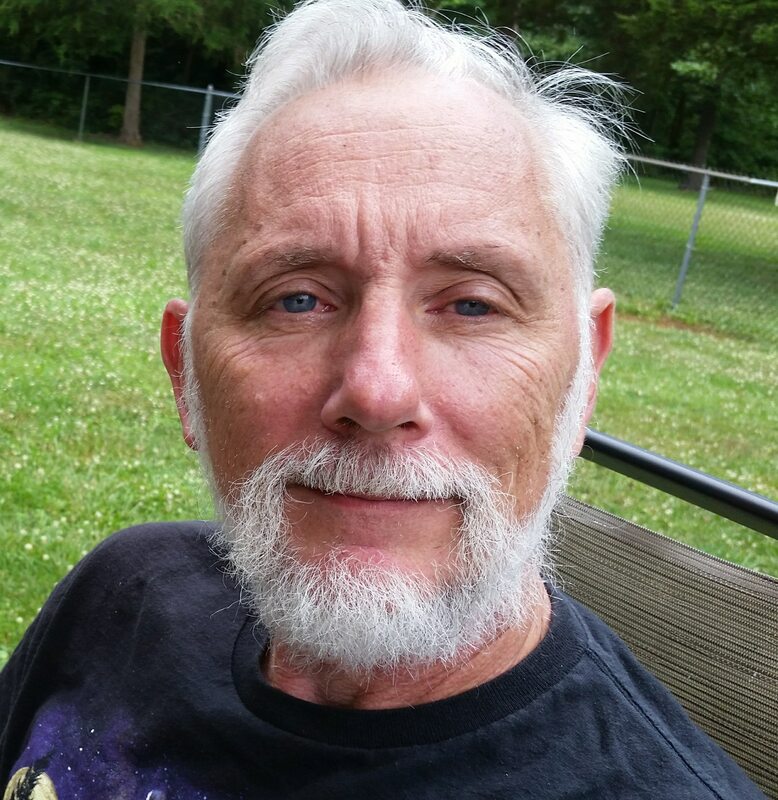 Check out my other post for more conversation sets under the $500 level. You will get a love seat, two chairs and a coffee table with powder coated steel frames. The resin wicker is woven with an arch design on the bottom on all pieces. The seating pieces have Olefin fabric in a burnt orange color with two square throw pillows for decoration. The coffee table will have a tempered glass top with a wide frosted band all around the edges. With the shelf below the top you will be able to store reading material and other items. The table is 40 inches long, 20 inches wide and 18 inches tall. The frame is covered with resin sicker and the shelf has a matching arched skirt to the chairs. The tempered top is removable and can be replaced if broken. Assembly is easy as you just have to attache each end leg piece to the top, then the shelf to the legs. Turn up on the legs tighten all hardware with the included tools, then place the glass top in. The chairs and love seat have a plastic strapping to support the seat cushions. The seating pieces have decorative arms and arch bottoms to the resin wicker skirts. The chairs are 27 inches wide, 32 inches deep and 35.5 inches tall. The seats are 23 inches deep, 23 inches wide and 13 inches off of the ground, this is without the 4.75 inch thick cushions. The love seat has the same dimensions, it is just 50 inches wide for two butts. Each sitting position will hold 250 pounds of weight. Assembly of the seating pieces will include attaching the arms to the back with legs, attach the seat to this assembly, turn over on the legs and tighten all hardware. Add the seat and back cushions and you are ready to sit and relax. These pieces cannot be used without the cushions. The cushions are a burnt orange color with buttons in the back ones for a more decorative look. The Olefin fabric does very well in outdoor environments. The 16 inch square throw pillows have a polyester material that is not as outdoor friendly as the cushions. I would still recommend storage for any cushions for longer lasting in the outdoor environment. I do have several post on storage solutions. If you need to clean up your set, use only a mild soap and water. Any harsh chemicals will damage the painted surfaces, even glass cleaner. If you need to clean the glass, use a rag with a mild soap and water and then dry off. This set will come in one large box, it is 17 inches long, 34.5 inches wide, 30 inches thick and will weigh 143 pounds. This will need two people and a large pickup or SUV for pickup. 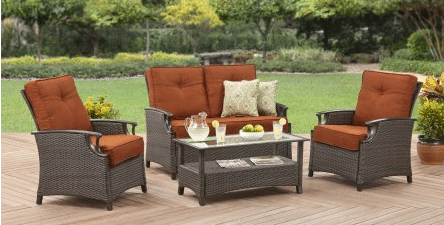 If you are looking for a good looking wicker patio conversation set, the Better Homes and Gardens Oak Terrace set should be on your list. For under $550, you cannot hardly go wrong. The thick cushions with the plastic strapping support will give many hours of comfortable sitting. The biggest drawback of this set will be the storage of the cushions when not needed. 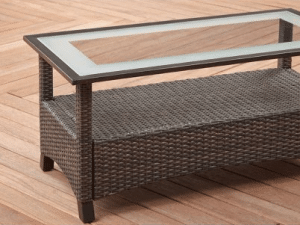 I think the look of the resin wicker will fit most medium to large outdoor spaces, if you try to put in a space smaller than 8 by 8 feet, it will be very crowded. Hop you found this information helpful, if you have any questions use the forms below and I will get back to you shortly. A couple of questions about the better homes and gardens oak wicker terrace conversation set. Do they come in several colors that aren’t orange? And how heavy is this set to carry? I have a bit of a bad back and need to know if I should get somebody to help me with any of the setups? At this time the only color for the cushions are the Burnt Orange color. The total weight of this set is 145 pounds, it should be easy to move unless you have to navigate stairs or corners. Great article. I like wicker furniture although I find them to be a bit bulky and not so easy to store. This set does look nice however, it is a tad too ‘big’ for my garden. And, you mentioned that they cushions would need to be housed separately. Hmmm, I think I will pass on this one, even though the price might try to ‘reel me in’. 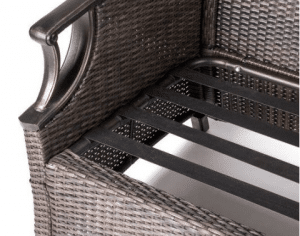 The resin wicker patio furniture is a little more bulky that regular patio furniture. Most people are going for the look of this style and have bigger outdoor spaces. If you have a smaller area, some of the metal sets with cushions or a set with sling seating would work better for you.